For the past four years, the SME Finance Monitor has been providing facts, figures and statistics on access to finance for UK SME’s through more than 65,000 interviews. It gives key data on how SME’s are thinking when it comes to applying for finance, how many have applied for it and their experiences from doing so. As we are aware here at Davenham, many SME’s are uninformed on alternative funding options as opposed to the traditional approach from banks, and this data explores to what extent SME’s are aware of various forms of support and advice available when accessing finance. The report also looks forward to the future for SME’s, tracking how many are planning to grow and the key barriers to running a business. All report’s and underlying data are made available for free to all interested parties here, however we have provided a summary of the reports from the first quarter of 2015, below. The first report from 2015 is showing many positive indicators for UK SME’s, with more businesses making a profit and fewer injecting personal funds. 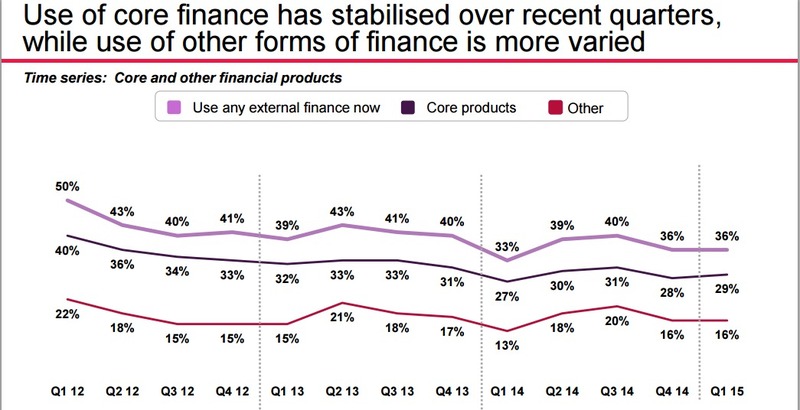 With 36% of SME’s using external finance in Q1, it’s brilliant to see that the gap between traditional and alternative methods of financing has narrowed over time. 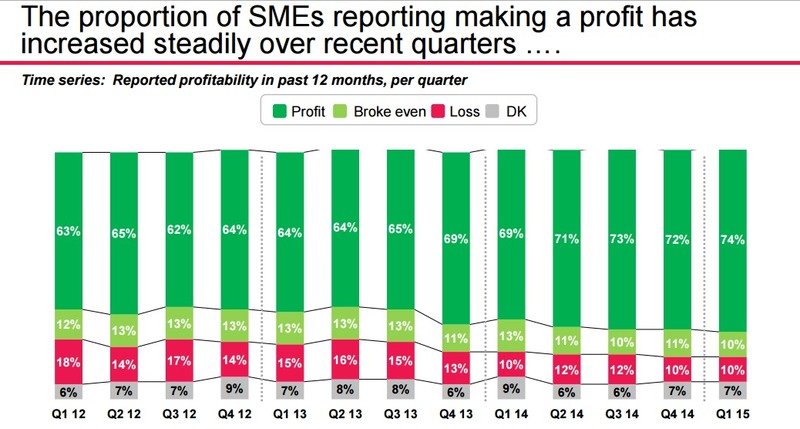 If you want to read more from the first of this year’s SME Finance Monitor, it is available here and could give you some helpful data for your business and some insights for the future. In addition, if you are seeking funding for your business and haven’t explored the alternative methods such as asset finance or asset refinance, we specialise in funding solutions to the SME sector nationwide, so get in touch with one of our friendly experienced sales team members or call 0161 832 8484.